Cirsium, derives his names from the thistle, cirsium in latin. It is our top selection; it comes from a single vineyard of 100% Cesanese di Affile planted in 1953 by Damiano’s grandfather. Cirsium, derives his names from the thistle, cirsium in latin. 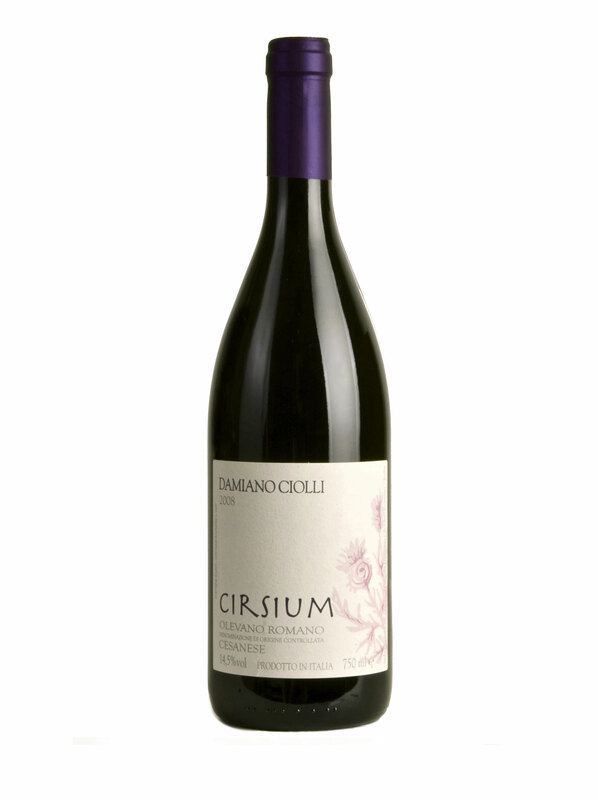 It is our top selection; it comes from a single vineyard of 100% Cesanese di Affile planted in 1953 by Damiano’s grandfather. This vineyard produces naturally about 4 – 6 bunches per vine . Harvest is conducted manually and starts only when the ripening of aromas, seeds and skins has reached the optimal level. Grapes are carefully selected , and any imperfect berry is discarded before they are loaded into the crusher. Cirsium is fermented in a stainless steel tank at temperature controlled within 25 °C to preserve the varietal aromas of Cesanese. Maceration lasts for about 15 days. After maceration, the wine is racked in french oak barrels where it does malolactic fermentation and ages on its fine lees for about 18 months with batonages when needed. After bottling Cirsium rests in our cellar for at least 2 years.